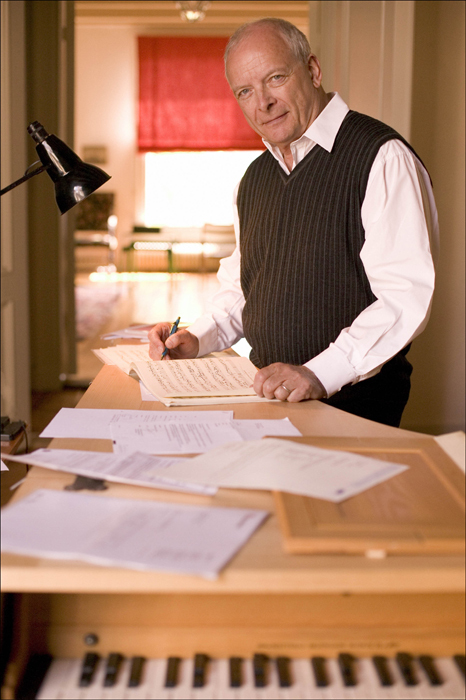 Christopher Hogwood, whose Academy of Ancient Music was a key ensemble in the period-instrument movement, striving to perform early music as the composer intended and as audiences were first presumed to have heard it, died on 24 September 2014 at his home in Cambridge, England. He was 73. Mr. Hogwood, a conductor, harpsichordist and scholar for whom an “authentic sound” was paramount, co-founded the Early Music Consort, which focused on medieval and Renaissance music, in 1967, but the paucity of information regarding historically accurate performance styles troubled him. The Academy, which he established in 1973 as “as a sort of refugee operation for those players of period instruments who wanted to escape conductors,” initially focused on seventeenth and eighteenth-century music. While praised for their buoyancy and stylishness, his interpretations were also sometimes criticized as dry and unemotional. One of the group’s significant early achievements was its 1980 recording of Handel’s Messiah, with the soprano Emma Kirkby. Peter G. Davis, writing in The New York Times, said it was “like no Messiah ever heard before in this century,” a performance that embodied the aesthetic championed by Mr. Hogwood: buoyant playing on gut strings with minimal vibrato. Mr. Hogwood’s more than two hundred recordings include the complete Mozart symphonies and the complete Mozart piano concertos, with the pianist Robert Levin. 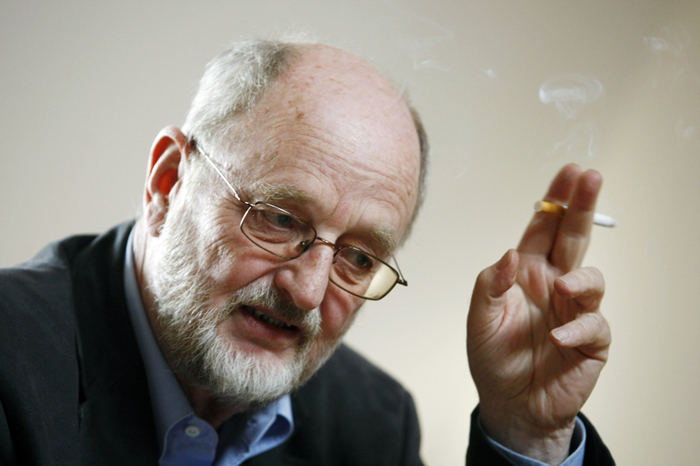 During a concert in 2011 at Alice Tully Hall, where he directed Juilliard415, the school’s period-instrument ensemble, Mr. Hogwood announced to the audience, “Instead of standing here, anachronistically waving my arms, I’ll join you.” He then left the stage and took a seat in the hall to listen. Early in his tenure as the artistic director of the Boston-based Handel and Haydn Society, which lasted from 1986 to 2001, Mr. Hogwood converted the ensemble to an exclusively period-instrument group. The Society’s major collaborations included a staging of Gluck’s Orfeo ed Euridice with the Mark Morris Dance Group as well as projects with the jazz pianists Dave Brubeck and Chick Corea. Mr. Hogwood had a particular affinity for Mendelssohn and was scheduled to conduct the composer’s Elijah in March 2015 with the Handel and Haydn Society. In 2008 he became director emeritus of the Academy of Ancient Music, succeeded by the harpsichordist Richard Egarr. In addition to period ensembles, Mr. Hogwood led orchestras, including the Los Angeles Philharmonic and the Chicago Symphony. He also conducted opera, including Purcell’s Dido and Aeneas at La Scala in 2006; among the operas he recorded were Handel’s Agrippina, Alceste, Orlando and Rinaldo. He also conducted the works of more modern composers like Stravinsky, Copland and Tippett. Mr. Hogwood wrote several books, including a biography of Handel first published in 1984 and revised in 2007, and prepared many scholarly editions of scores, which he used for his own performances, often correcting previously published mistakes. He held academic positions at the Royal Academy of Music, King’s College London, Cambridge University, Harvard University, Cornell and Gresham College, London. Christopher Jarvis Haley Hogwood was born in Nottingham, England, on 10 September 1941, the son of Haley and Marion Hogwood. His father was a physicist, his mother a secretary for the International Labour Organization. He studied literature and music at Pembroke College, Cambridge; his harpsichord teachers included Gustav Leonhardt.